Searching for the perfect luxurious home quietly secluded in the stunning Tonto National Forest? The impeccable Desert Mountain Homes Community is the absolute choice. Desert Mountain consists of approximately 8,100 acres of land at elevations ranging from approximately 2,580 to 4,800 feet above sea level. Currently there are approximately 167 homes for Sale in Desert Mountain. The property contains mountains, wildlife, and lush high Sonoran desert vegetation, with scattered juniper at the higher elevations. At the northern boundary of the development lies the Tonto National Forest, the second largest national forest in the United States, affording miles of wilderness for hiking and horseback riding. Over 2,000 acres of the more mountainous portions of Desert Mountain Homes are restricted to remain substantially in their natural condition. Desert Mountain has 2665 total properties. There are approximately 1,800 completed homes ( a changing variable), 2375 Equity Golf Memberships (perpetual full-golf privilege equity memberships), may be issued, which translates to less than 396 such memberships per course across all six courses. The Golf Membership to the Desert Mountain Club is currently a "market based program" and the monthly fee is $1600.00. 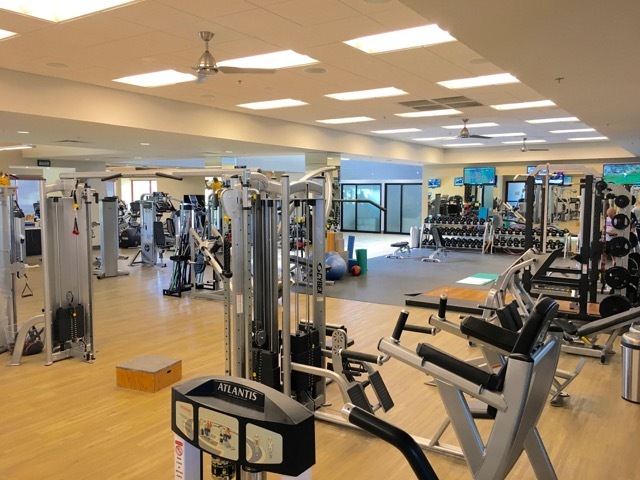 In addition to the Social Lifestyle amenities the Full golf membership includes access to all six golf courses, the state of the art practice facilities and the Jim Flick Golf Performance center. For those interested in taking advantage of social opportunities offered to Desert Mountain Club members, a new program for a social membership called “Lifestyle” membership was created. The one time fee to join is only $20,000 and the dues are currently $595.00 per month. Even if one is NOT interested in the golf facilities, you can still participate in EVERYTHING else Desert Mountain Homes has to offer including the six clubhouses, nine restaurants and grills, tennis, newly renovated fitness & Spa, private hiking & biking trails and the many many social clubs such as bridge and other card games, mah jong, quilting, book clubs, you will find a group for you. Renegade is one of my favorites. It was designed back in 1987 and allows golfers to choose their own level of play. What makes this golf course special are the two pin placements. The Gold pins are for those golfers looking for a more challenging course. It is not what we would call a “bump and run” course. Once you get close to the green, there is usually a sand bunker or some kind of obstacle in front of the green. The best part of playing Renegade is setting up the course for how you feel that day. For example as a female golfer, I can choose to play from the Red tee box and go to the White tees OR for a more challenging experience, play the Red tees to the Gold pins Or mix it up again and play the White tee box to the White pins. White to white is designed for the longer ball striker .Renegade also has a fantastic practice facility. Once I was practicing on the putting green and noticed a familiar looking man putting next to me. I was wondering why he was not retrieving his own golf balls and someone was rolling them back to him when he was finished his putting. Not until he looked up did I notice it was none other than Tom Watson, the golf professional with many wins on the PGA tour and now active on the Champions tour. You never know who you will see out here. And speaking of you never know who you might run into , another time, I was playing golf with a few friends and playing behind me was Tom Lehman. I did not notice him until we were almost done, when he causally came up to me and told me that I had a very nice golf swing. Well if that didn’t beat all…. how exciting for an amateur to get such a nice compliment from someone of his stature.Golfing at Renegade or for that matter at any of the golf courses in Desert Mountain is a special treat. I consider myself lucky everyday that I found this community back in 1996 and have the chance to be part of one of the Best Private Country Club Resorts in the country. It has the feel of a RESORT, but is all private.Playing golf at any level or any age is what makes Desert Mountain a special community. The best part of playing Renegade is setting up the course for how you feel that day. For example as a female golfer, I can choose to play from the Red tee box and go to the White tees OR for a more challenging experience, play the Red tees to the Gold pins Or mix it up again and play the White tee box to the White pins. White to white is designed for the longer ball striker. Renegade also has a fantastic practice facility. Once I was practicing on the putting green and noticed a familiar looking man putting next to me. I was wondering why he was not retrieving his own golf balls and someone was rolling them back to him when he was finished his putting. Not until he looked up did I notice it was none other than Tom Watson, the golf professional with many wins on the PGA tour and now active on the Champions tour. You never know who you will see out here. And speaking of you never know who you might run into , another time, I was playing golf with a few friends and playing behind me was Tom Lehman. I did not notice him until we were almost done, when he causally came up to me and told me that I had a very nice golf swing. Well if that didn’t beat all…. how exciting for an amateur to get such a nice compliment from someone of his stature. 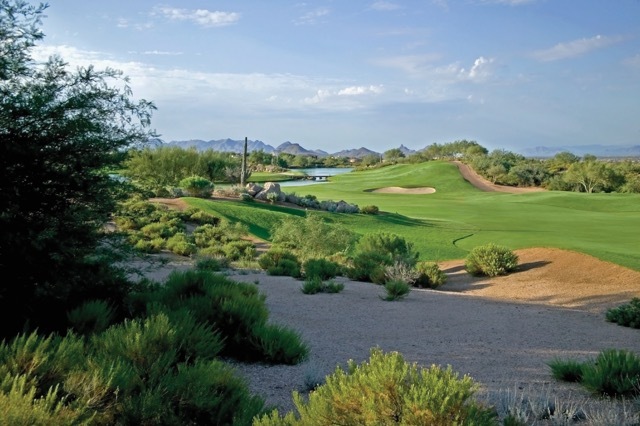 Golfing at Renegade or for that matter at any of the golf courses in Desert Mountain is a special treat. I consider myself lucky everyday that I found this community back in 1996 and have the chance to be part of one of the Best Private Country Club Resorts in the country. It has the feel of a RESORT, but is all private.